Niecy Nash is having a moment. Finally. After 22 years of working in Hollywood. After hearing the kinds of feedback that would send even the most confident person into an emotional tailspin — Nash has the lead role in one of the most provocative summer TV series since … well, ever. 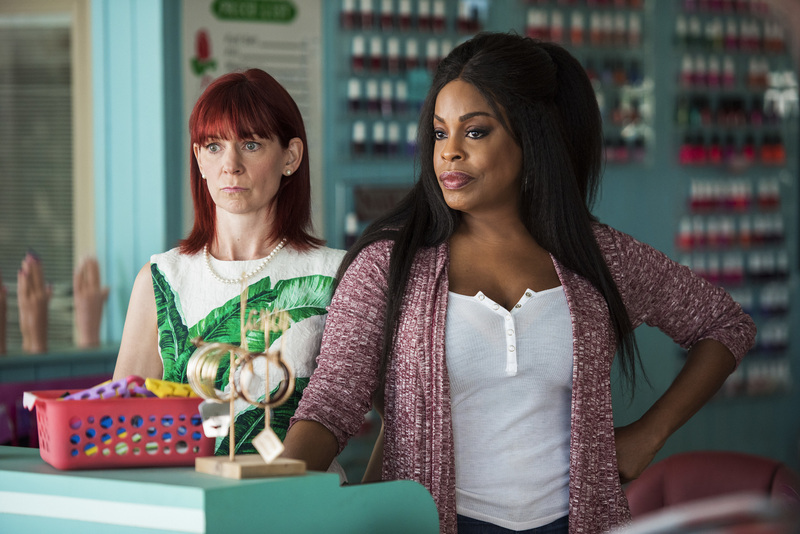 In TNT’s new Claws, Nash portrays Desna, the owner of a South Florida nail salon. There are so many sharp curves in the first few episodes, viewers will be grasping — and gagging — for air. The series comes to the network from a team of executive producers that includes Rashida Jones, and critics so far are impressed by Nash’s dramatic range. So Carol Denise Nash worked. And she collected accolades like a daytime Emmy for Style Network’s Clean House (for which she was producer/host), and Emmy nominations in 2015 and 2016 for her role as Didi Ortley in HBO’s Getting On. Nash went after roles — such as her big breakthrough in Comedy Central’s Reno 911! — no one thought she should ever read for. And importantly, the Los Angeles native entered rooms with her head held high, and her self-esteem intact. The imagery behind this series is powerful, as well. Two women — Barrois, who is black, and Jones, who is biracial — are calling the shots. And everything from the writer’s room to the extras looks like the world that Barrois, Jones and their producing partners Eliot Laurence and Will McCormack live in.